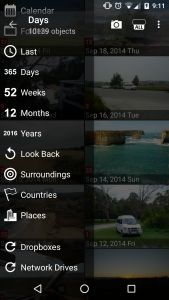 PhotoMap can now find photos in your Dropbox cloud storage to visualize them on a map and to group them together with your local photos. Just select your Dropbox account in the settings and PhotoMap will start searching for photos. 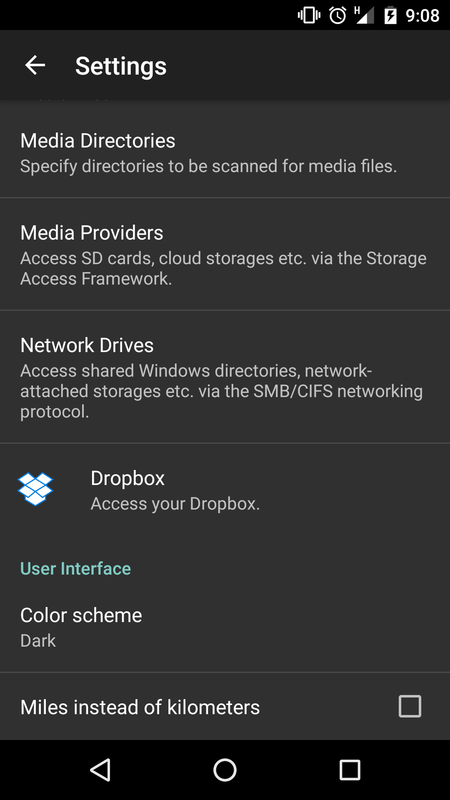 Files and folders in your Dropbox are displayed with a small Dropbox icon in the upper right corner. Let PhotoMap scan the Dropbox again by tapping on the refresh button in the navigation bar on the main screen. This is useful if you’ve added or changed files in your Dropbox from another device, or if your internet connection hasn’t been stable enough to scan all files in one pass. You can copy or move local photos into your Dropbox or the other way around. 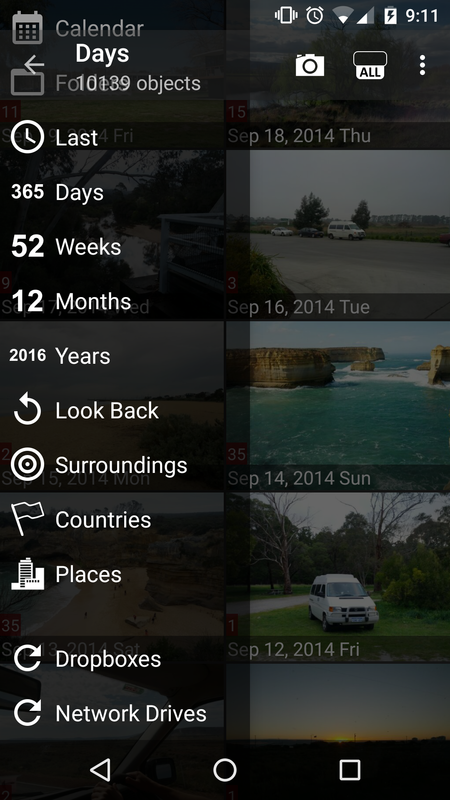 Add/edit captions of your photos and add/edit geo coordinates. 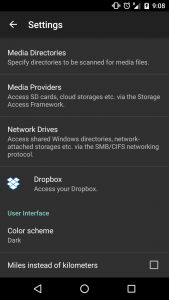 Add your Dropbox via the settings. Tap on the “Dropboxes” refresh button to let PhotoMap search for photos in your Dropbox again. This is a great new feature, but I’m struggling to get it to work. It’s found a small fraction of my Dropbox photos spread across all folders, but has stopped there. Hitting the refresh button doesn’t help. Any advice? Dropbox support is still quite new. Did you try the new version? It’s working without problems on my test devices. I have to do a few more tests to find compatibility problems on other devices. Thanks for the reply. Yes, just checked and I have the latest update. I’m using a Sony Z3 compact running Android 5.1.1 if that helps.